Last Sunday, while en route to OSH, I spotted a fire truck, with lights flashing, turning into a parking lot and decided to follow it. 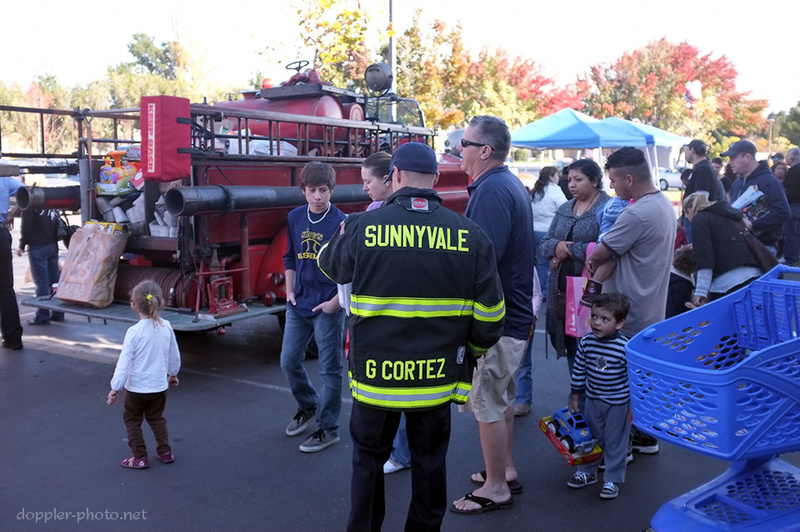 It turns out that the Sunnyvale Department of Public Safety (which encompasses both fire and police) was running an annual half-day event where people could donate toys to Toys for Tots in exchange for a round-the-block ride in a fire truck. 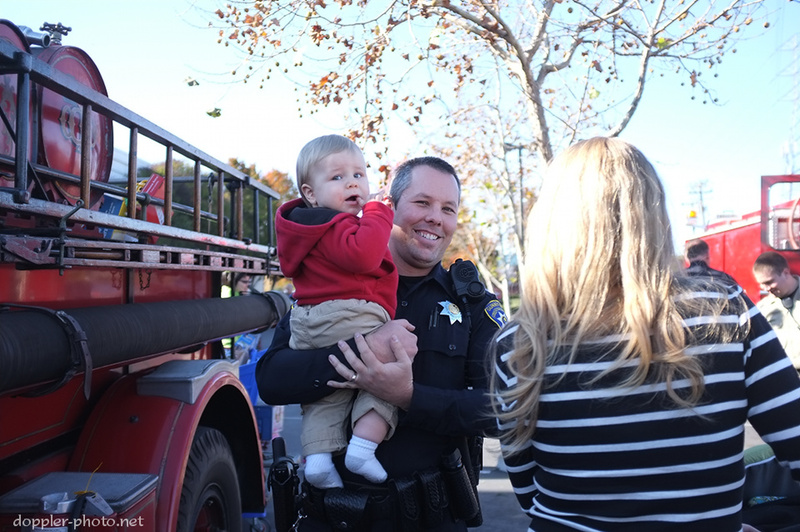 The event took place in the Toys"R"Us parking lot near Sunnyvale Saratoga Rd. 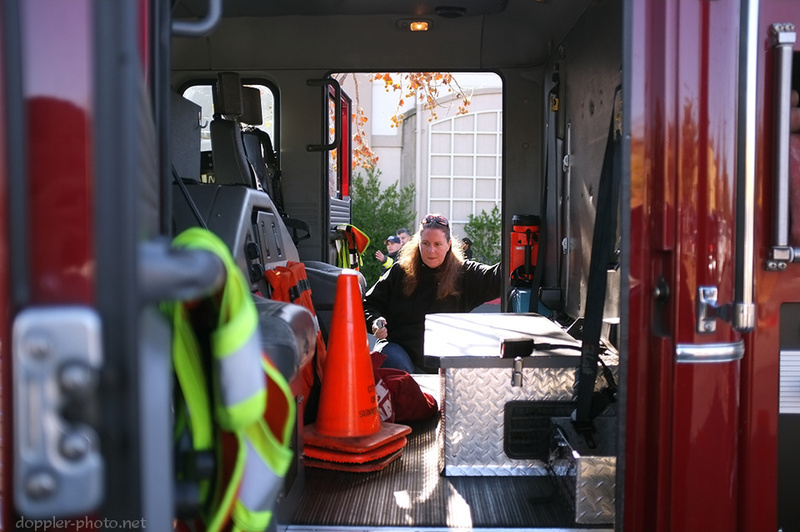 A woman climbs into the cab of a fire engine. Public Safety Officer Cortez waits at the head of the line to receive donated toys and usher the groups of people toward the waiting trucks. Many of the toys were then collected in the rear of the vintage fire truck on the left. 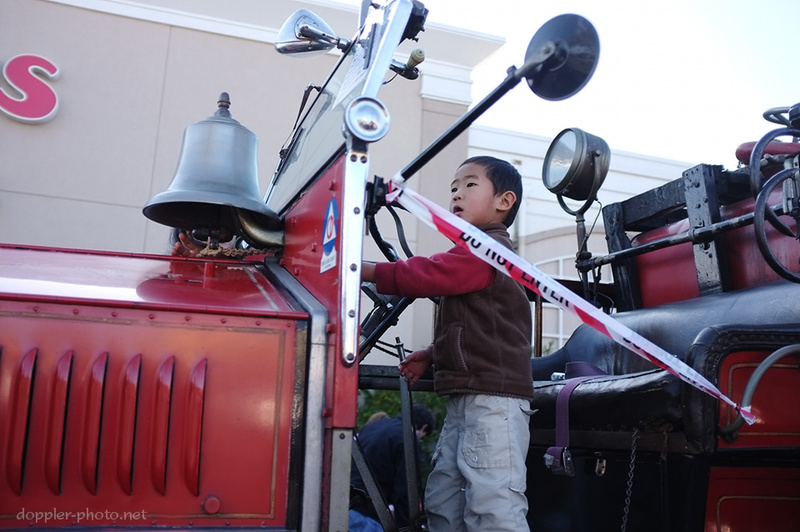 The truck, a functional 1929 Ahrens-Fox fire engine, was for all intents and purposes a child magnet. Once one parent had pulled a child off of the truck, it was only a matter of time before another child would climb up into the open cab. A mother (left, obscured) reaches for the clapper of the fire bell to stop her son from ringing it. Public Safety Officer Lyons smiles for the camera while visiting with his family. 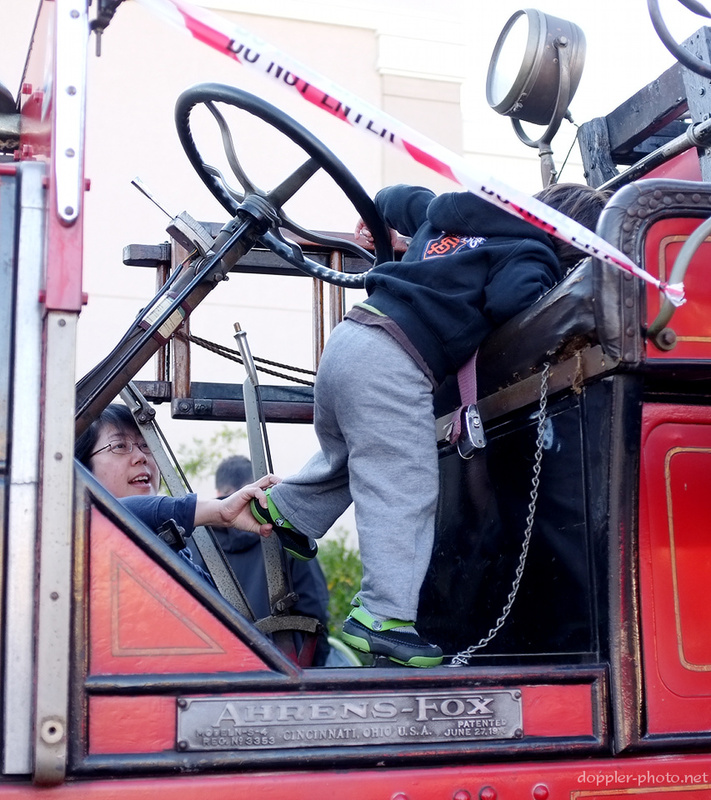 Lyons had spent the earlier parts of the day in the driver's seat of one of the fire trucks. 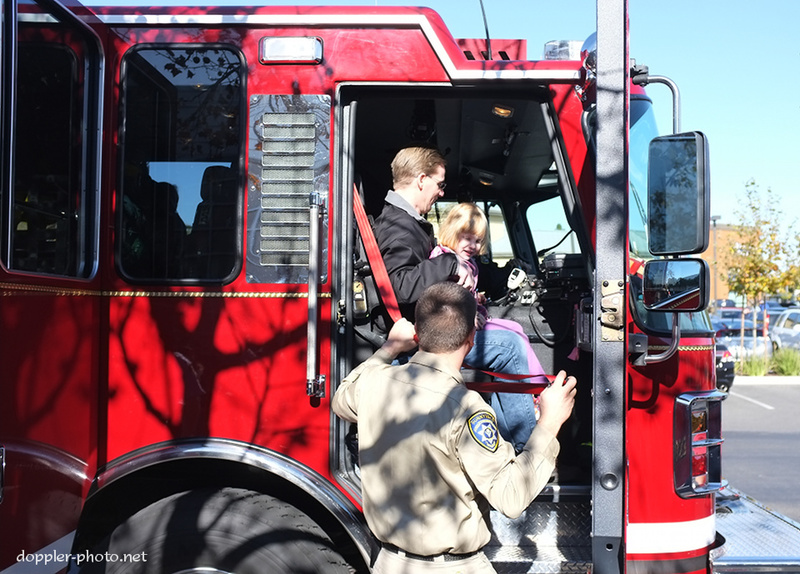 A public safety explorer helps a father and daughter buckle in for the engine ride.